When Huawei launched the original MateBook X Pro last year , I’m not sure the company knew what it had created. 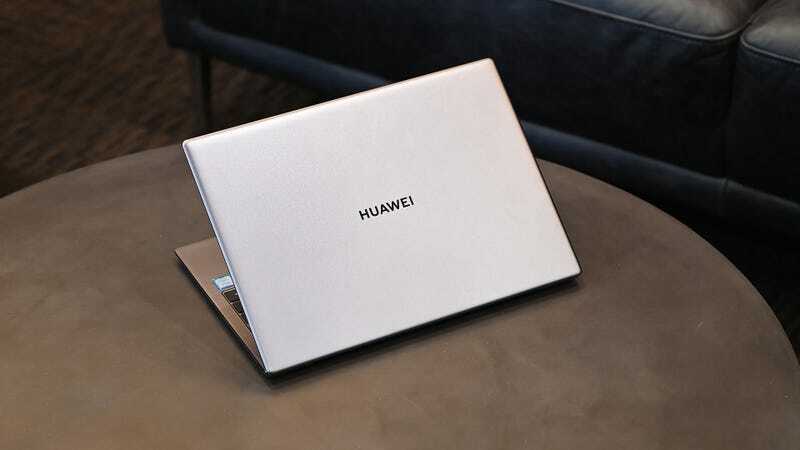 Huawei has only been in the laptops business for about three years, a relatively short time compared to industry veterans like Apple, Dell, Lenovo and others. But when they made a 14-inch laptop with a gorgeous aluminum body (albeit unoriginal), top-level specifications, an impressive screen and a webcam hidden in a key, and then it was priced at just $ 1200 as if those features If alone they were not enough, they transformed the MateBook X Pro into my favorite ultraportable computer of 2018. 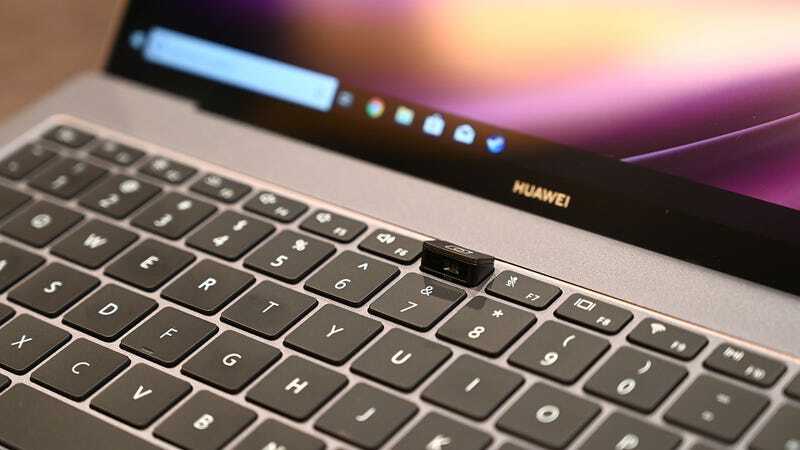 Now Huawei is back with an updated version of the MateBook X Pro that incorporates a number of notable improvements that make the manufacturer’s flagship laptop even better. But before talking about this “MacBook Pro” not made by Apple, there are some things you should know. Since the aluminum body of the MateBook X Pro 2019 has practically not changed from last year (apart from the new logo on the cover), the main differences for this year are all internal. The basic model has an Intel Core i5-8265U CPU with 8GB of RAM, a 512GB SSD and a recent Nvidia MX 250 GPU, while the i7 model doubles the memory and storage to 16GB and 1TB respectively, retaining the MX 250 graph. The downside is that, while the jump in specifications is significant, Huawei has also increased the initial price of the MateBook X Pro considerably, which makes it feel like a fair deal instead of the absurdly far-fetched bargain that was the model of the last year. Taking into account the global figures, the Core i5 model will probably cost around $ 1600, and the model with the i7 between $ 2000 and $ 2200. That’s pretty close to the prices of the 13-inch MacBook Pro, although it’s important to remember that Apple’s smaller MacBook Pro does not come with a discrete GPU. However, it is difficult to criticize Huawei for this change. Before, the company lost money or, at best, sold the MateBook X Pro at cost to ensure that its high-end was not affected by the competition. Beyond the faster CPUs, what’s new? Interestingly, one of the most important improvements is the faster 802.11ac wifi that allows me to reach download speeds that exceed 373.6 Mbps. Obviously, it helps that my Internet service at home is relatively fast and that I have downloaded Steam, Blizzard games and EA, which have large servers with which to saturate my connection. But being able to reduce the download time of games between 20 and 30% is very welcome, and brings other advantages, such as better stability when using Wi-Fi on networks with more unstable connections. The X Pro 2019 also comes with Bluetooth 5.0 and a new USB-C Thunderbolt 3.0 port for more connectivity. On the other hand, the new MX 250 GPU makes photo and video editing a bit more enjoyable by better handling large files that sometimes get stuck in last year’s machine. The great update, in addition to improved cooling, is Huawei Share 3.0, which includes the new OneHop share feature that allows you to transfer photos, videos and other files between your laptop and a phone by simply supporting your phone in the X Pro. As long as have a Huawei phone with EMUI 9 or higher. In practice, OneHop works quite well, but the requirement that you are totally immersed in the Huawei ecosystem makes it useless for many users. The X Pro also has new gesture controls that allow you to take screenshots or record your screen, which is practical, but only if you use them enough to remember that they exist, which for many Windows users will probably require a dedication extra. For the rest, the 2019 X Pro comes with the excellent features of its predecessor. Its 13.9-inch screen with a resolution of 3000 by 2000 pixels is incredibly bright and vibrant, its autonomy is quite good (it lasts 10 hours and 36 minutes, 30 minutes less than the model of the past), and its keyboard is still better than that of the current MacBooks. Ah, the pop-up webcam is not gone either, so if you’re the type of person who frequently makes video calls, you’ll have to settle for an unflattering angle of your chin. Overall, I’m a little less excited about the MateBook X Pro 2019 compared to equipment like the new Dell XPS 13 due to the price increase. Now that the XPS 13 has the webcam in the right place, it is a practically perfect device within the 13-inch format. 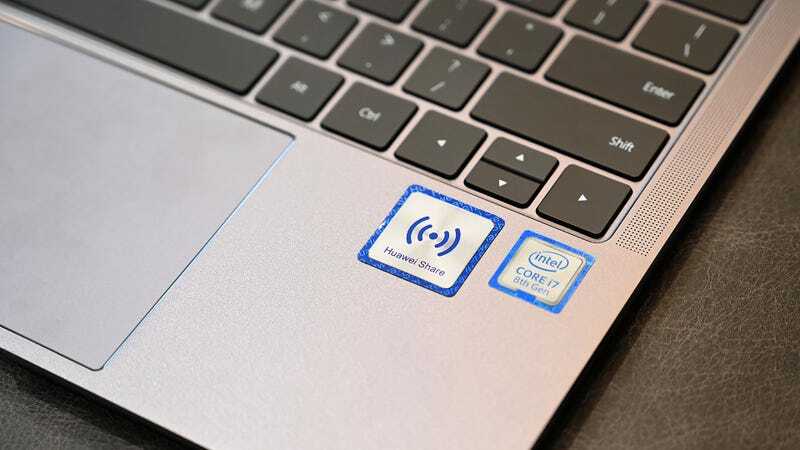 The XPS 13 is even more portable than the Huawei offer, and with configurations starting at $ 900 or $ 1200, it offers greater flexibility for people who want to save about two hundred dollars. That pushes the X Pro to a respectable second place, and for people who want something with a bigger screen, more graphics power and the convenience of a built-in USB-A port, the 2019 MateBook X Pro is still a solid alternative, although something more expensive. The chassis of the MateBook X Pro has not changed, beyond the renewed logo of its cover, in 2019. Big updates are inside: updated CPUs, an optional MX 250 GPU, more storage, a Thunderbolt 3 port and faster Bluetooth and Wi-Fi. Huawei Share only works with the latest Huawei and Honor phone models; If you want to use it, do not remove that NFC tag. The 13.9-inch screen of 3000 x 2000 pixels is ridiculously good. Previous articleAndroid Q Beta is official: you can download it now!